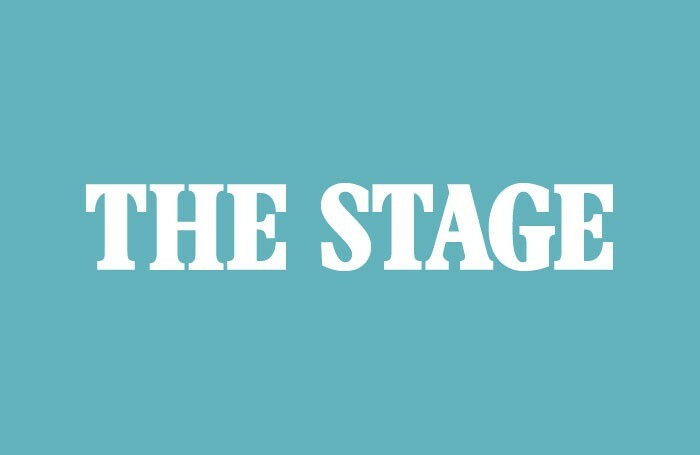 Chichester Festival Theatre and London’s Bush and Jermyn Street Theatres have been named as the top theatres of 2011 in The Stage 100 Awards. Chichester was awarded regional theatre of the year, the Bush was recognised as London theatre of the year and Jermyn Street was chosen as fringe theatre of the year. Meanwhile, the National Theatre was named producer of the year for its work away from its South Bank base on shows including War Horse and One Man, Two Guvnors. The Musical Theatre Academy was named school of the year. 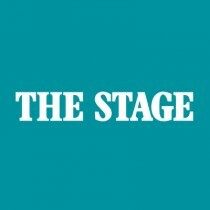 The Stage 100 Awards were launched in 2010 and run alongside the annual Stage 100 list. This year, the awards saw the launch of a brand new category – the Unsung Hero Award, designed to recognise theatre figures who make a key contribution to the industry out of the limelight. The inaugural year saw three people recognised in this category: Edwin Shaw, one of the West End’s longest serving box office managers, children’s chaperone Heather Miller and Frances Coyle, who has worked in the cafe at the Glasgow Citizens Theatre for more than 40 years. Stage readers were able to nominate organisations and individuals for all six awards categories. However, the final decision was taken by The Stage’s judging panel. In the event, all but one of our winners was reader-nominated. The judging panel for the awards comprised Stage editor Brian Attwood, deputy editor Alistair Smith, reporter Natalie Woolman, critics Mark Shenton and Aleks Sierz, Stage education/training editor Susan Elkin and former Theatrical Management Association president and Stage backstage editor AK Bennett Hunter. Having worked in the West End for more than 50 years, Edwin Shaw currently leads the theatre department at See Tickets. Shaw spent 35 years as the box office manager of the London Palladium, starting when it was owned by Moss Empires and seeing it through to Really Useful Group’s management. In the words of Dafydd Rogers and David Pugh who nominated him, “not a day goes by” when producers from across Theatreland do not consult Shaw. “We simply don’t move without him,” they said. In their nomination, they added: “At a time when the function of box offices is being taken over by computers and the booking fees, transaction charges and restoration levies seem to make up more of the ticket price than the ticket. It would be good to remember what an integral part of putting on a show box office is. Edwin filled and sat sold out houses at the Palladium every night of the week (sometimes twice nightly) without a computer or fax machine.” A golden asset to the great and good of Theatreland, not least because “he can smell a hit and unfortunately sometimes a flop”, Shaw is a worthy recipient of the inaugural Unsung Hero Award. Heather Miller has worked as a chaperone on countless children’s productions in the West End and on tour, including Oliver!, Mary Poppins and Chitty Chitty Bang Bang. She was nominated for the Unsung Hero Award by children’s casting director Jo Hawes, who has worked with Miller on a range of productions over the last 17 years. Hawes, who said she could not praise Miller highly enough, described how she has turned the unsung role of a chaperone into an artform. She wrote: “Chaperoning is a difficult and underrated job and Heather does it with exactly the right combination of humour, discipline and practicality. She loves working with children and they love and respect her. She will go beyond the call of duty to do what is right for them and will ensure their safety and welfare at all times. “She makes life so much easier for the directors and choreographers.” The role of a chaperone is vital but largely unseen. Miller demonstrates how crucial it can be to the smooth running of a show. Glasgow’s Citizen’s Theatre has benefited from the service of Frances Coyle for more than 40 years. She joined the venue in 1967 and is only just retiring now from her position in the theatre’s coffee bar, aged 82. Coyle was nominated by the head of operations at the Citizens Theatre, Lesley Davidson. Speaking as Coyle’s line manager for the past 11 years, Davidson said she had worked “tirelessly” and that she “can still out-work the young ones”. In her nomination, Davidson added: “To my knowledge, she has never taken a sick day and has only been off when she had one of her many children way back in the fifties and sixties.” Of Coyle’s eight children, two have worked at the Citz alongside their mother and Coyle’s granddaughter is currently on the staff at the theatre, meaning that three generations of the family have all supported the venue. The judges felt Coyle’s service perfectly encapsulated the spirit of the new Unsung Hero Award and her dedication to the Citizens over the past 40 years struck us as outstanding. Rare is the venue that can turn moving premises into an artistic triumph, but the Bush Theatre did just that in 2011. It was a vintage year for the new writing venue as it traded up from its pub home to the former Shepherd’s Bush library. Highlights included its Schools Season, which provided a relevant and timely intervention in the free schools debate, tender farewell piece This is Where We Got to When You Came In, the year’s most ambitious response to the 400th anniversary of the King James Bible with Sixty Six Books and The Kitchen Sink, which one of our judges described as “one of the plays of the year”. The spirit of the Bush – its imagination and its enthusiasm – was summed up in Where’s My Seat? in which the team invited people to scrawl on post-it notes throughout its new building to review the space while watching a medley of new plays. If only more venues looked after their audiences so well. The venue will celebrate its 40th anniversary this year and artistic director Josie Rourke moves to the Donmar Warehouse to make room for Madani Younis. She will be a hard act to follow, especially after the bounty of 2011. It was a stunning year for this regional powerhouse, making it the unanimous choice of the judges. Jonathan Church’s artistic choices continue to be pitch-perfect, setting favourites alongside unfamiliar pieces and, of course, showcasing some of the best musical talent this side of the Atlantic. The theatre celebrated no fewer than six West End transfers in 2011 – Caryl Churchill’s Top Girls, Trevor Nunn’s production of Rosencrantz and Guildenstern Are Dead, Pygmalion and musicals Singin’ in the Rain and Sweeney Todd, both of which will open in Theatreland this spring alongside a transfer of Bingo to the Young Vic. The Rattigan season was at the heart of this year’s programme, featuring classics such as The Deep Blue Sea and fresh interpretations of the playwright, with the premiere of David Hare’s South Downs taking inspiration from The Browning Version. It stood out as a golden tribute to the late writer in a year full of Rattigan revivals. CFT is currently looking to embark on a major capital project to refresh its venues and make them fit for the next 50 years. Few causes come closer to the heart of British theatre. The comeback kid in this year’s awards is Jermyn Street Theatre. After a period in which the venue sometimes struggled to deliver quality product and find its focus, the theatre enjoyed a renaissance in 2011. Artistic director Gene David Kirk – now in the post for a little over three years – has shown real flair with the programme, with little-seen Arthur Miller double bill Danger: Memory! capitalising on the intimacy of the space, while the team stole the march on the rest of British Theatre by staging the original version of Less Than Kind by Terence Rattigan for the first time. In a year peppered with Rattigan revivals, this was undoubtedly a coup – and a beautifully-executed one at that. Later in 2011, Jermyn Street showed real ambition with its revival of Charles Morgan’s The River Line and by mounting the musical Burlesque by Adam Meggido, best known for his Showstopper! musicals. The latter may not have been faultless, but it had passion and panache and revealed a theatre that is not scared of taking chances. For audiences, the best on the fringe offers new discoveries – whether they are long-forgotten plays in need of resuscitation or new experiments in theatre-making. Jermyn Street demonstrated a talent for both these things in 2011. At first glance, honouring the National in this category may seem an unconventional choice. However, the panel felt that the venue earned its spurs as a producer this year in its handling of its own shows and by lending a helping hand to other subsidised venues. Back in 2008, Nicholas Hytner, Nick Starr and their team decided to go it alone and produce War Horse in the West End without a commercial partner. It was a high-risk strategy but one that has paid enormous dividends, cushioning the venue against funding cuts. It is also co-producing the show on Broadway and looking to pull the same trick with its latest hit One Man, Two Guvnors. When London Road sold out and the National was looking at closing a successful show early, it simply refused to and opened a new space – The Paintframe – for the double bill waiting in the wings instead. Producing on the hoof is rarely more innovative. This prize also recognises the National’s work on other venues’ projects including presenting Bristol Old Vic’s Swallows and Amazons with Children’s Touring Partnership in the West End and on tour. Offering its technical expertise and branding, the National helped the Donmar Warehouse to broadcast its production of King Lear as part of NT Live. With yet more funding cuts on the horizon for the subsidised sector, the National’s innovative and supportive attitude to the role of producer should be celebrated. The panel is keen to reward pluck alongside excellence and the Musical Theatre Academy has both these credentials in spades. Set up by Annemarie Lewis Thomas, the MTA offers two-year training courses rather than the traditional three-year format and aims to fast track its students into the industry. Lewis Thomas’ first cohort of students graduated in 2011. All of them have agent representation and, within one month of graduating, they had all secured at least one professional job or gig. These are the kind of statistics that the most established drama schools aim for – let alone a newcomer. The MTA also has a policy of only employing staff who are still actively working in the industry. Deciding to adopt this strategy as a fledgling school could not have been easy, but demonstrates the professionalism of the enterprise, forging an active link between the students and the sector from the outset. Within just a few years of opening, Lewis Thomas and her team have established themselves as a new force in drama training that is not afraid to approach things differently. The panel unanimously wanted to recognise their vision with this award.